Yesterday was not a good day to be a Dutchman, being knocked out the World Cup and all. What better than drink away the sorrows with a load of alcohol? 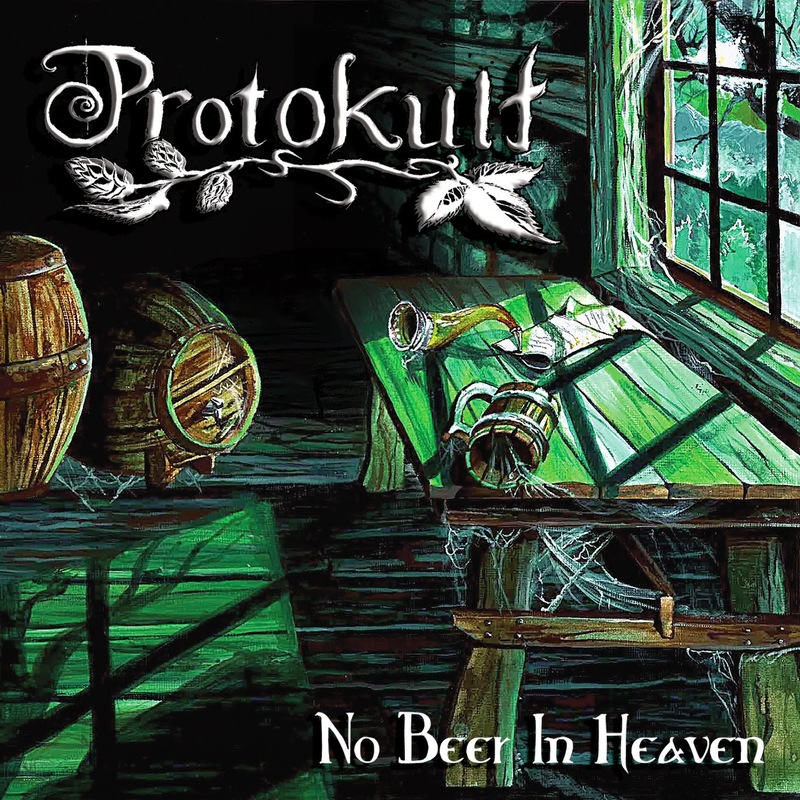 From Canada I bring you Protokult with the scariest title an album could be; No Beer In Heaven. It's plain obvious that we're talking about folk metal here, meaning; up tempo melody's, high pitched singing, beer and party's. However, this is not your typical folk band, although it has all the folk elements, Protokult adds a little bit of ambient and quite some black in there. This makes the sound very diverse and enjoyable, folk bands come in many and many are alike as well, this is a fresh change between them. Packed with melodic guitar screams, dark grunts, the amazing reach of Ekaterina, Protokult comes in as a dark folk train ready to obliterate everything in its path to make sure they won't run out of beer. The album is over an hour long and it will definitely give folk lovers who likes it a bit rougher what they want. Now, I'm not the biggest folk lover you will find, but I have been enjoying myself with songs like 'Get Me A Beer', 'Heaven Cast Me Out' and 'Desert Scourge'. Which brings me to 'Razbival Okovi Perun', sounding like a ritual in the woods sacrificing a virgin to whatever god they worship. All in all No Beer In Heaven is an extra large package of dark folk metal here to drink and party with you. If you're a folk fan, be sure to give them a listen. The album is a solid piece and an enjoyment to even non-folk fans. Oh, and they also love the 'Water of Life' (that is vodka if you didn't know already).